The sound of jackhammers reverberated through the night in this northern Italian city, where crews searched for survivors of a highway bridge collapse that left about two dozen people dead, officials said. The search-and-rescue mission is expected to last for days, Emanuele Gissi, an engineer with the country’s fire service, told state broadcaster RAI News 24. Gissi said several people remain missing. 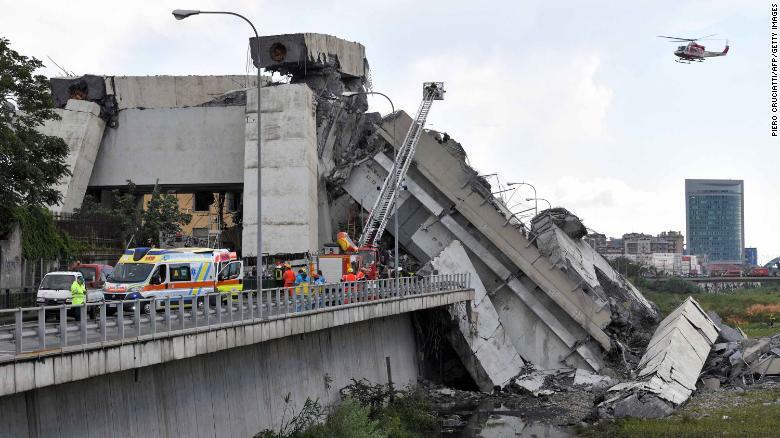 Some 440 people have had to abandon their homes following the collapse of the bridge, the mayor of Genoa’s office said in a statement. Eleven buildings had to be evacuated and the number of people and buildings evacuated could rise as risk assessments are ongoing.